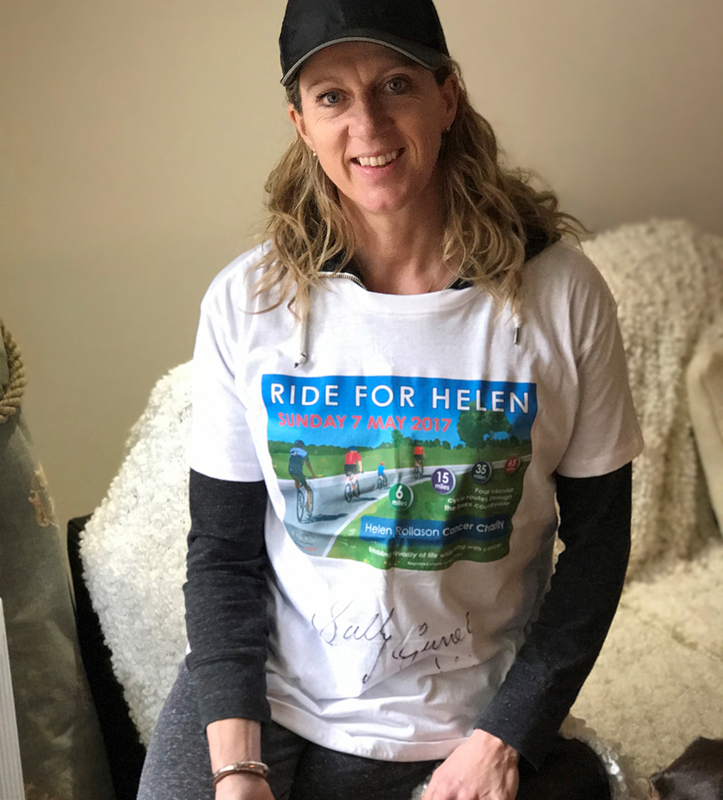 As the date for Ride for Helen approaches, Helen Rollason Cancer Charity has been blown away by the support from local businesses, people and even celebrities! The fundraising event, which is taking place on 7 May, has been receiving a record number of entrants so far from both new and returning participants. 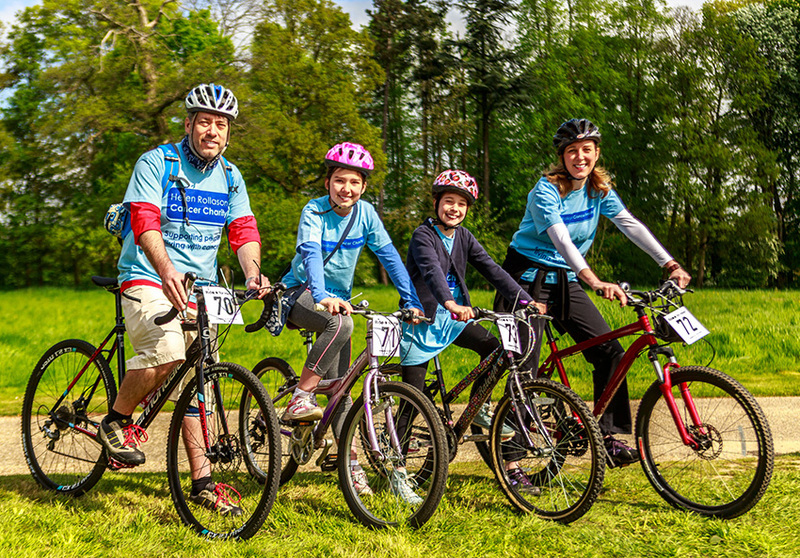 Over 1,000 cyclists from across the country will be meeting at the Crix in Hatfield Peverel, Essex to take part in this fantastic, family-friendly event, which offers a choice of four picturesque routes; six miles, 15 miles, 35 miles, or for the bravest of cyclists, 65 miles. All ages and abilities are welcome to join in as individuals or as a team, and families can enjoy two FREE child places for every paying adult on the six mile route. 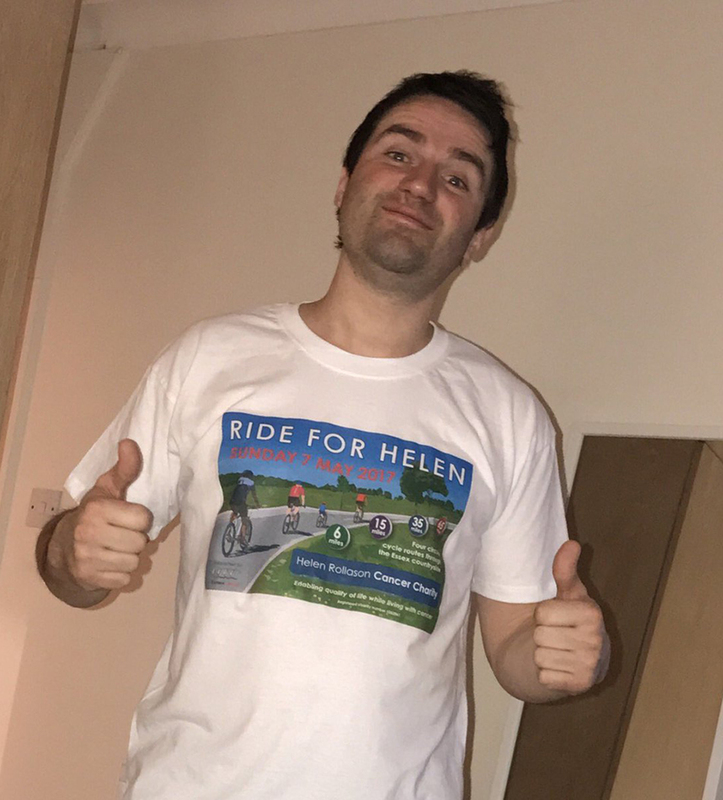 HRCC patron, Sally Gunnell and TV programme Gogglebox’s George Gilbey, have both been showing their support for the event by wearing Ride for Helen t-shirts, and George is hoping to be able to take on the 35 mile route on the day! Another high profile name that will be attending the ride is BBC Radio Essex presenter, Sadie Nine. 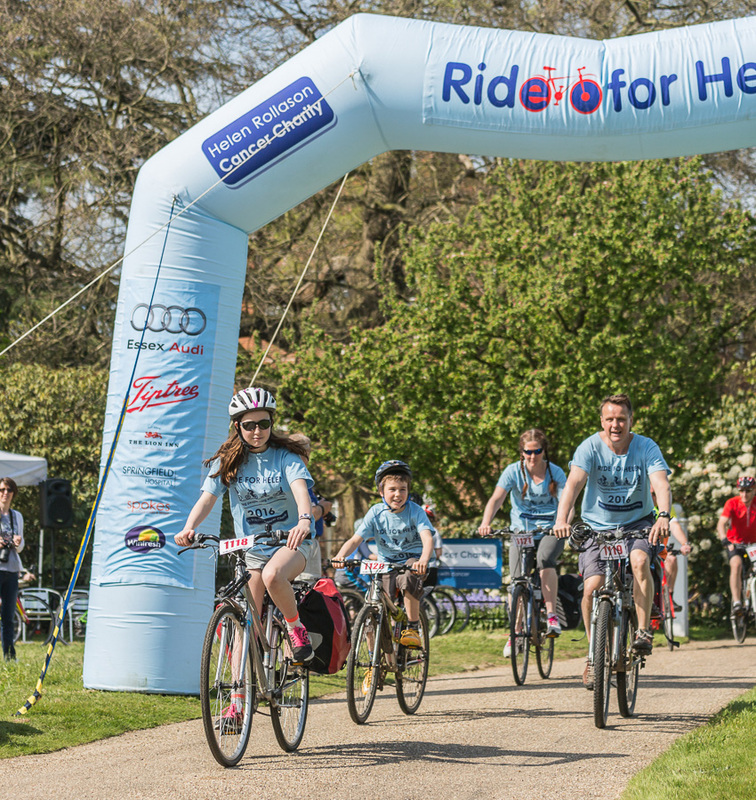 For more information or to register, please visit www.rideforhelen.co.uk or call 01245 380719. You can also find out more about the great work that Helen Rollason Cancer Charity does at www.helenrollason.org.uk. The first ever R4H took place in 2014. 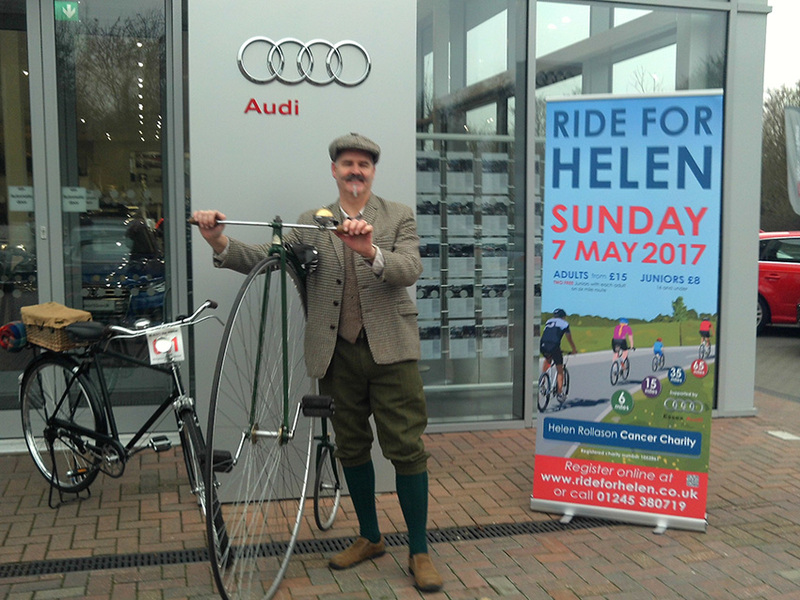 To date, R4H has raised around £109,000 for the Helen Rollason Cancer Charity. Essex Audi has been a proud sponsor of the event since year one. If every participant that cycled the 65 mile route last year did it in tandem, they would be able to travel from Chelmsford to Perth in Australia three times, or the equivalent of cycling the entire equator.